I usually wait to see a pen in person, or at least in photos taken in person, before ordering one. Publicity photos aren’t always accurate about a pen’s color. 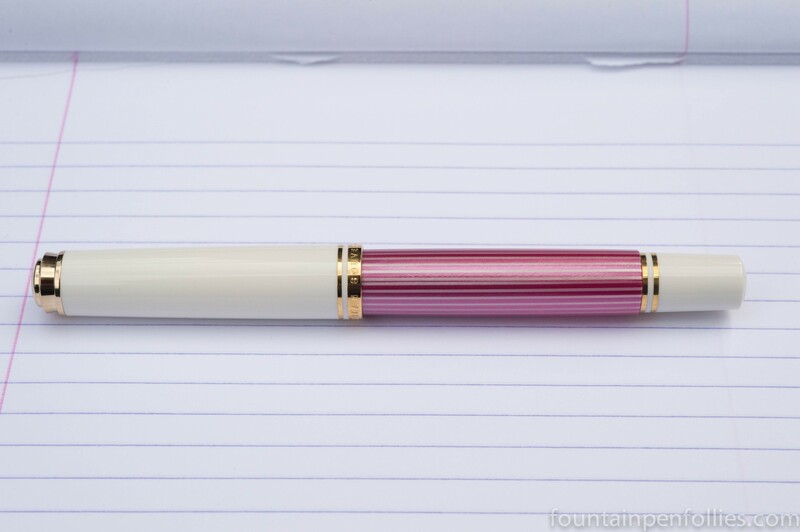 But the Pelikan M600 Pink was an exception. I pre-ordered it without knowing the specific shade of pink it would be. Because I realized that whatever pink it would be, I’d still buy it. It’s pink Pelikan! But for everyone else, here are those photos. wow, look at that box! It really doesn’t match the pen inside, does it? I would have pictured something much more frou-frou and boudoir inspired 🙂 Ah well, at least you can stash & forget! The picture with the three pinks is my favorite from this post – they really enhance each other!